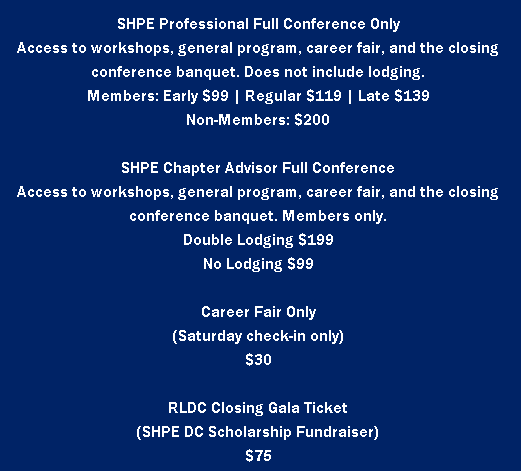 SHPE DC Hosts RLDC in Feb 2019! 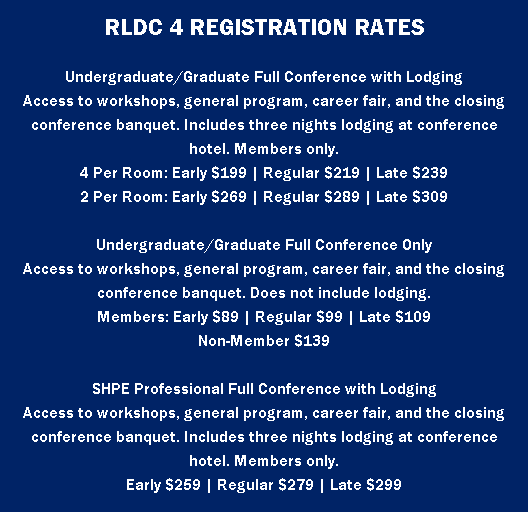 Registration for RLDC 2019 - Region 4 is now Open! Early Bird Pricing ends on January 26! We are also still accepting sponsors (more info below) to join us for this Regional Leadership Development Conference right here in DC in March! If you or your company/organization are interested in engaging with 350-450 STEM professionals and students from across the NE and Puerto Rico - please reach out to us ASAP! Here are 3 reasons to take advantage of this opportunity right here in DC! 2. Get an Amazing Deal! Tickets not only include 3 weekend nights in DC, but you also get a Gala ticket, access to Corporate Tours with top companies, a tour of DC's historical monuments for students or a professional networking reception for professionals, as well as programming which includes 3 unique symposiums. a SHPE-tina panel and Role Model panel discussion! 3. Save Even More by Booking Early! Late pricing with lodging ends February 6 at 11:59pm ET. Recruit Diverse STEM Talent at our SHPE Regional Leadership Development Conference in February in DC! Leverage RLDC to enhance your recruitment strategy! Reach and engage with Hispanic/Latinx STEM talent in your focused geographical area. 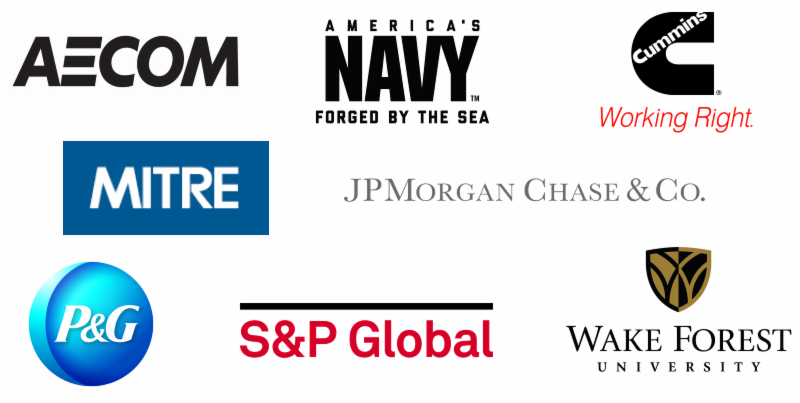 SHPE’s regional conferences gather together collegiate students and professional members through a series of networking opportunities including a career fair, workshops and more! Securing a space at our Career Fair (various booth spaces available, for both large & small)! It was great seeing everyone at the 2018 SHPE National Convention in Cleveland! We can't wait to see everyone in Phoenix, AZ for the 2019 National Convention! We are honored to welcome the District Department of Transportation as an official partner of SHPE DC! Leading up to this partnership, we have been sharing DDOT job opportunities and will feature DDOT speakers at upcoming events! DDOT's Project Delivery Administration is hiring a Transportation Planner (Due May 11) and a Safety Oversight Planner (Due May 18)! Please see the links to apply for the position. If you're interested in applying, please reach out to bradley.mighdoll@dc.gov or Ramono.flowers@dc.gov. MITREcorp has partnered with SHPE DC to promote professional development, networking opportunities, and leadership training among Hispanic engineers. To learn more about MITRE and careers at MITRE go to https://www.mitre.org/careers/job-openings. Check out our Events Page for more information on upcoming events!